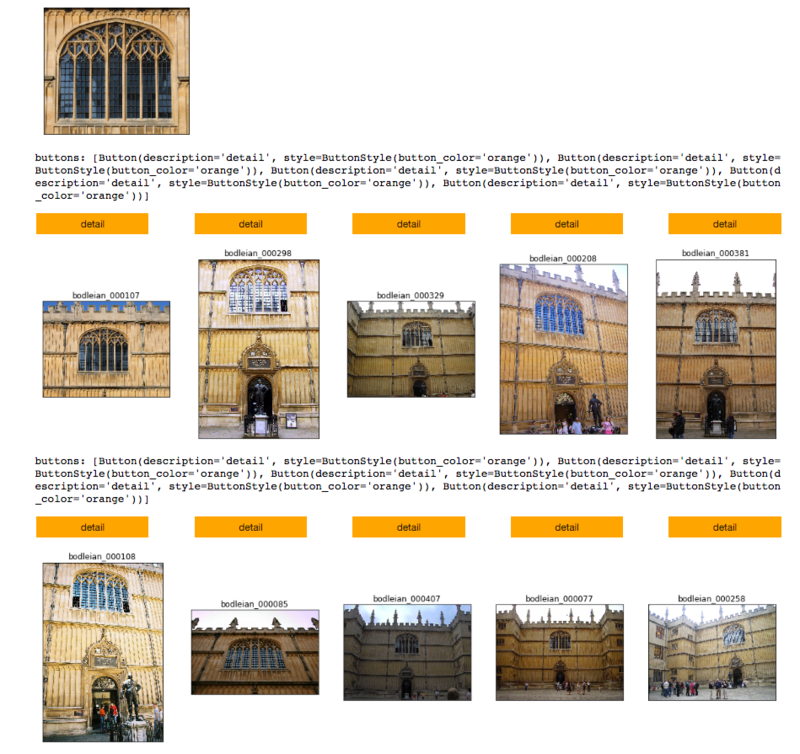 PyTorch Implementation of "Large-Scale Image Retrieval with Attentive Deep Local Features"
There are 2 steps for DeLF training: (1) finetune stage, and (2) keypoint stage. 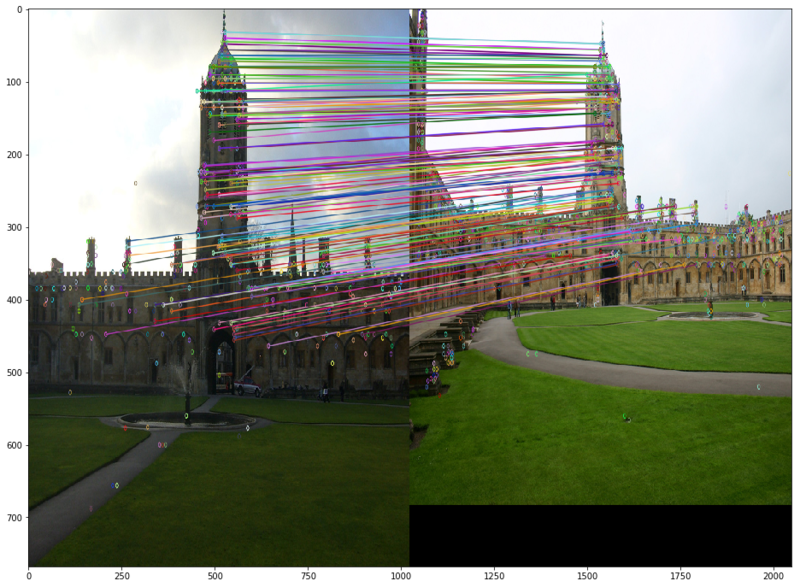 Finetune stage loads resnet50 model pretrained on ImageNet, and finetune. expr: name of experiment you wish to save as. There are also two steps to extract DeLF: (1) train PCA, (2) extract dimension reduced DeLF. IMPORTANT: YOU MUST CHANGE OR COPY THE NAME OF MODEL from repo/<expr>/keypoint/ckpt/bestshot.pth.tar to repo/<expr>/keypoint/ckpt/fix.pth.tar. I intentionally added this to prevent the model from being updated after the PCA matrix is already calculated. --input_path <path to train data>, but it is hardcoded. --output_path <output path to save pca matrix>, but it is hardcoded. --pca_parameters_path <path to pca matrix file.>, but it is hardcoded. 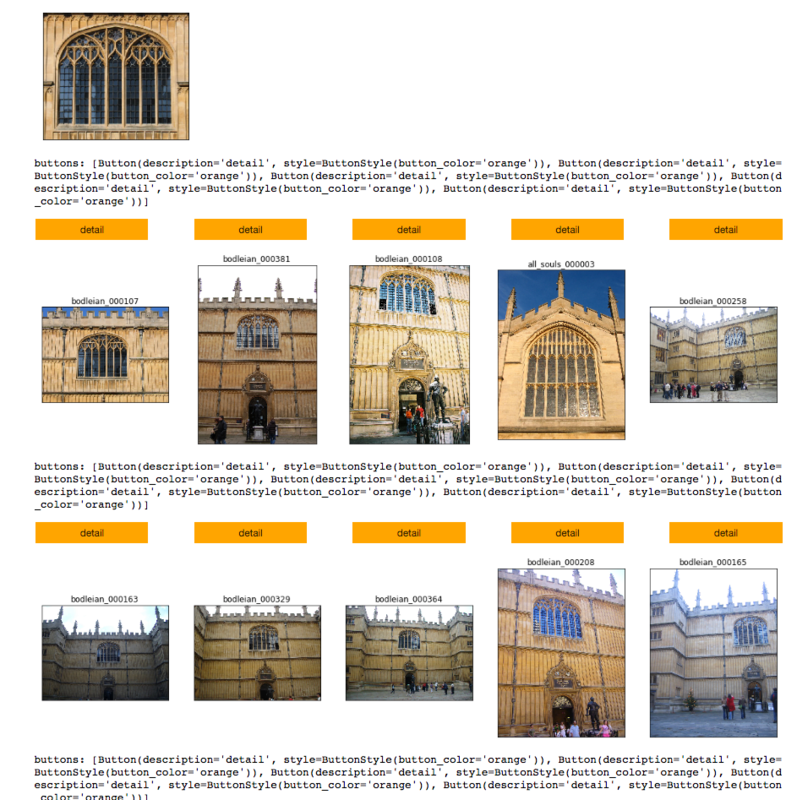 You can visualize DeLF matching batween two arbitrary query images. Let's assume there exist two images, test/img1.jpg, test/img2.jpg. Run visualize.ipynb using Jupyter Notebook, and run each cells. You may get the result like below. 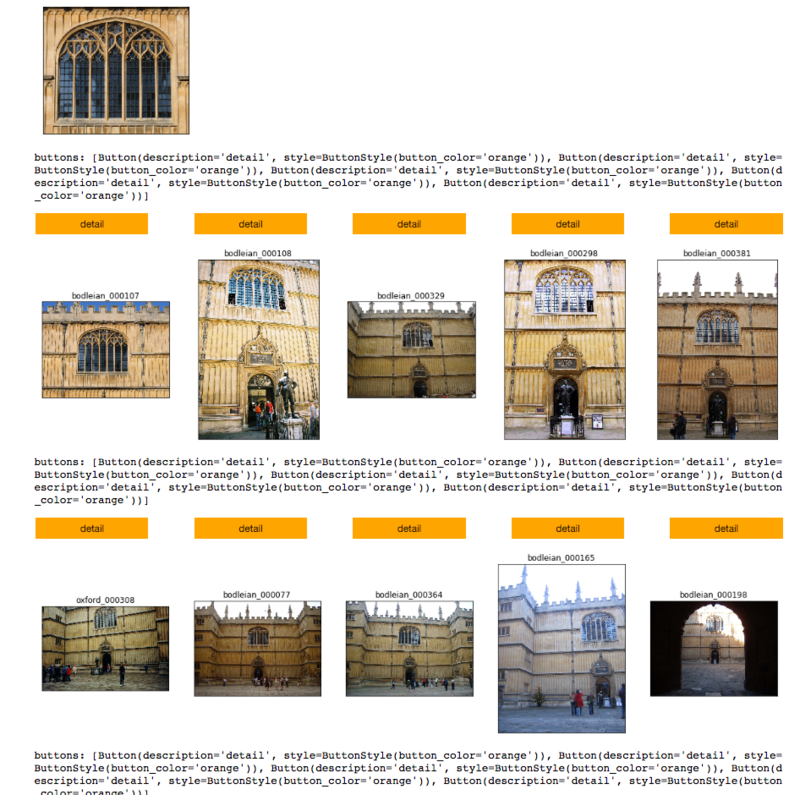 glr1k, glr2k: Trained DeLF model with a subset of google-landmark-dataset on kaggle, which contains top-K instances sorted by the # of images included. PYTORCH_LDMK: Trained with landmark dataset. PYTORCH_GLR1K: Trained with a subset of google-landmark-dataset with 1k instance classes. PYTORCH_GLR1K: Trained with a subset of google-landmark-dataset with 2k instance classes. PYTORCH_BNK_V3_BAL_HANA: Private currency dataset I personally own just for check.